John Gibbons announced that Gift Ngoepe has made the Blue Jays opening day roster. 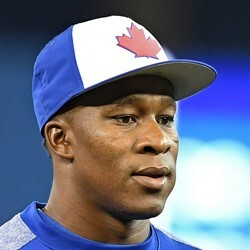 Ngoepe made the Blue Jays roster as a utility specialist that does not have much fantasy upside. Ngoepe ended the spring with a .222 average, .323 OBP with zero home-runs and six RBI. Unless Gift begins to get regular at-bats he should not be considered for a roster spot in any fantasy baseball format.